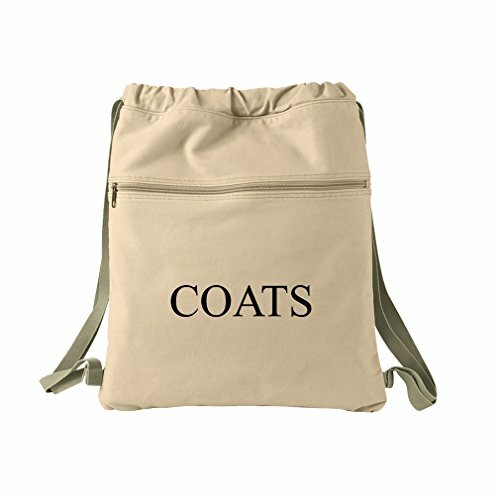 Carry all your stuff with this amazing 100% cotton backpack. This stylish bags are decorated with the cool designs of Style in Print. This is a perfect gift for people that enjoy to hang out with the essential and still having style. HIGHEST QUALITY MATERIALS: This canvas backpack features a drawstring closure and is made with heavy duty 14oz canvas. Its dimentions are 17.5"Hx14.5"W. This amazing bag features a zippered front pocket to carry everything you need.